Writer/Director- Edward D. Wood Jr.
Night of the Ghouls was something of a lost film for over 20-years, filmed in 1958 (or 1959), but after it was shot Night of the Ghouls was held by a post production house since Ed Wood couldn’t pay the lab fee and the film was never released. 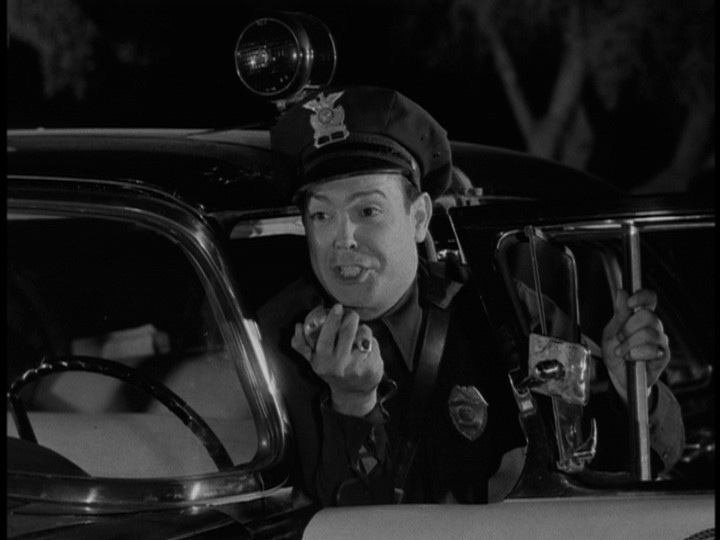 When Wade Williams acquired Plan 9 from Outer Space, Ed Wood’s widow told Williams of Night of the Ghouls and he paid the fees and acquired the rights to the film and finally the world got see Ed Wood’s lost film Night of the Ghouls. This film is part of what’s called the Patrolman Kelton trilogy. The character was played by Paul Marco and he also played the role of Kelton in Bride of the Monster and Plan 9 from Outer Space. Ed Wood is often cited as the worst filmmaker I said it before and I’ll say it again I admire Ed Wood. He worked outside the Hollywood system on very limited funds and while Ed Wood is most certainly not a good filmmaker and sure his films were hack jobs, but they were at the very least fun. I could name several filmmakers that also made films as poorly made and were total bores. Outside of really Bride of the Monster, Ed Wood wasn’t very successful as nobody was really seeing his films and it wasn’t until after his death his cult legacy was born. But despite going unnoticed he continued to make films regardless of quality and for that I have to admire the guy. It’s sort of become the cool thing to do and label Ed Wood the worst, but its even more annoying when people say that and yet never saw his work. However I suppose at the very least it does keep him remembered even if not for the right reasons. 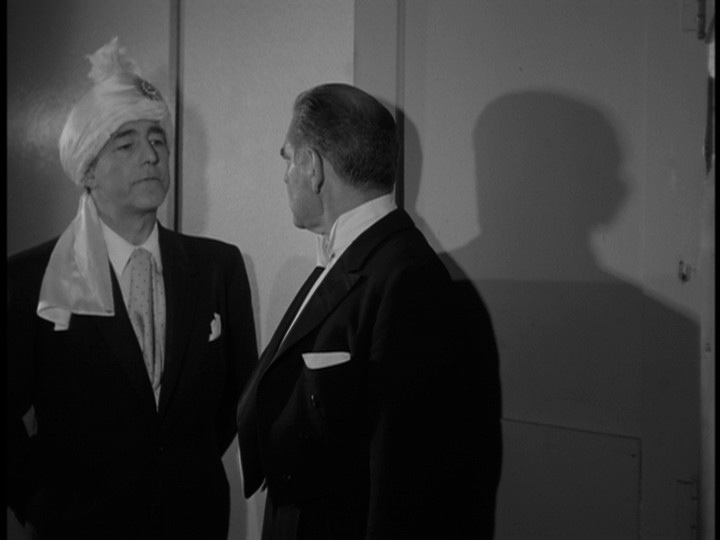 Night of the Ghouls is your typical Ed Wood film; it features everything he would become infamous for; the film is filled with poor dialogue, poor acting, stock shots, cheap production values and its everything you expect to see in a film by Ed Wood. 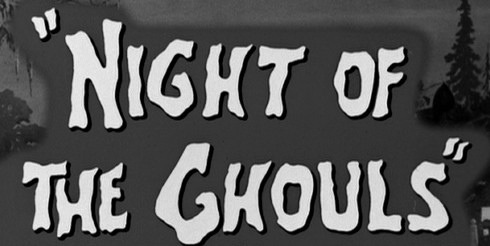 The first 15-minutes were a lot of fun and it had everything I love about Ed Wood, but after that it quickly takes a nosedive and unlike Bride of the Monster and Plan 9, Night of the Ghouls is a bad film for the most part and not in a fun way. While the 2nd half has some moments I however often found myself losing focus on the film and when compared to Bride of the Monster and Plan 9, Night of the Ghouls very much lacks. 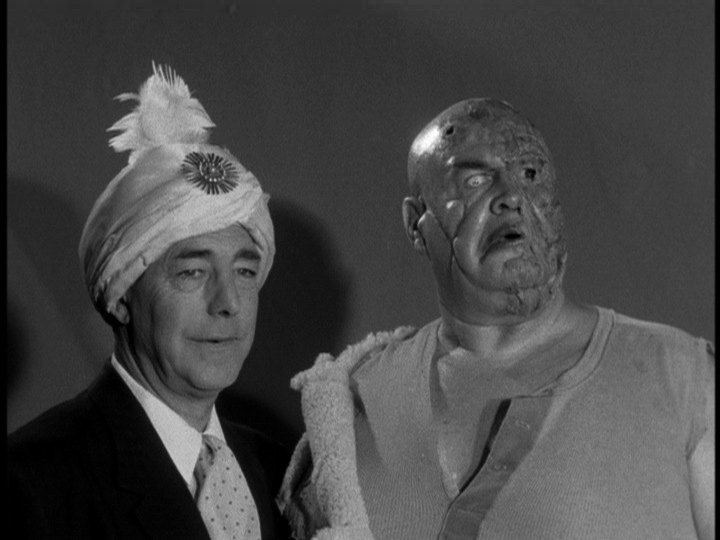 The main setting for the film is the same location from Bride of the Monster and there are a couple of mentions and Lobo played by Tor Johnson returns and of course as mentioned Patrolman Kelton and he briefly mentions events from Bride of the Monster and Plan 9. If you never saw the other two you really wouldn’t be missing out as its not really crucial to see them to understand this though you might enjoy this a tiny bit more knowing the other two films. 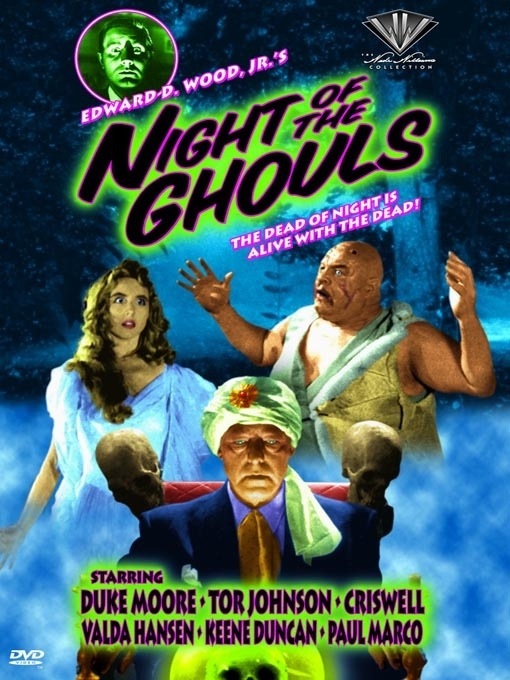 While none of Ed Wood’s films can be labeled good in the traditional sense they were however fun, but Night of the Ghouls after a really fun start quickly runs out of steam and gets quite sluggish. Dr. Acula (Duncan) is a phony medium and cheats people out of money by pretending to contact dead family members, but Dr. Acula accidentally does contacting the dead as he revives a bunch of dead corpses. The screenplay by Ed Wood is quite poor and worst of all boring at times. I suppose one can say all of Wood’s scripts were poor, they were filled with such silly dialogue, but were more often than not a lot of fun, but with Night of the Ghouls the writing was just bad and not in a good way. Quite honestly I’m not sure if Wood wrote this to be a legit horror film or campy. Bride of the Monster and Plan 9 were legit attempts and that’s really what makes them so fun, but here with Night of the Ghouls I really was unsure on what Wood’s intentions were. If anything I guess it was a bit of both as the first 15-minutes the camp value was mostly intentional with some that weren’t. The characters here are mostly boring, but they do have their moments. Kenton was a blast like always, but the problem here is the dialogue is just mostly bad and again not in a good way like Bride of the Monster and Plan 9. 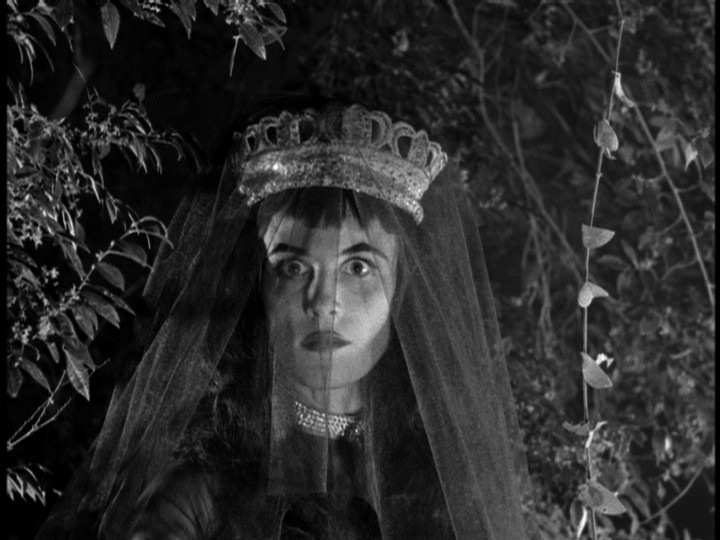 As director Ed Wood crafts a really sluggishly paced film that at times I had a tough time focusing on. It’s quite a shame since I was really digging the film early on and the fun factor was quite high, but it quickly takes a nosedive. Wood does attempt at creating an eerie tone to go along with some suspense, but he isn’t good enough of a filmmaker to pull it off. At 69-minutes, Night of the Ghouls actually does feel overly long despite the brief running time. Night of the Ghouls was just sort of a mess and its unfortunate since like I stated the opening 15-minutes were a lot of fun, but the film just gets far too sluggish in pacing and far too wordy and Wood isn’t a skilled enough writer or director to keep it interesting and he doesn’t have a cast with enough talent to make it worked either. I really do enjoy the films of Ed Wood and while he is a poor filmmaker I also think he’s unfairly labeled the worst, but with films like Night of the Ghouls it’s quite difficult to defend him, but I’ve still seen far worse than this in both quality if filmmaking and the film itself as while sure the 2nd half can get boring, but it does have its moments and I can name a lot of films far worse made and far more boring. There are a couple of things that do work like for starters the opening narration by Criswell. I don’t know a lot about him, but he was a psychic. 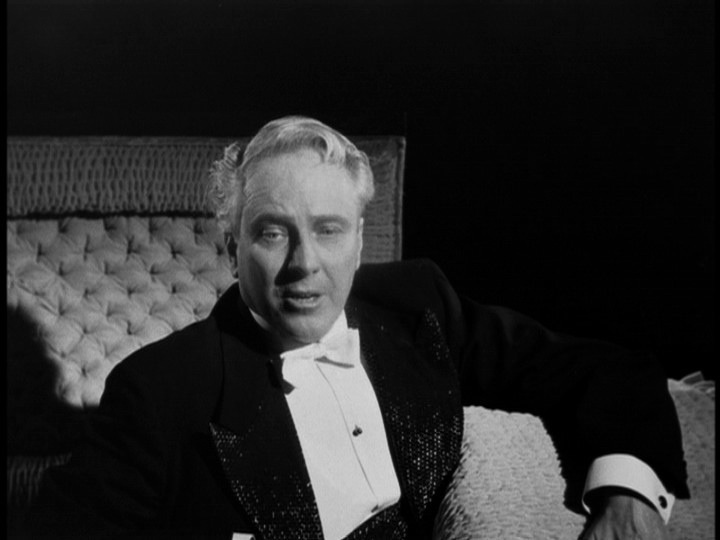 In the opening he looks into the camera while reciting his dialogue as he’s meant to be taking to the audience, but he constantly glances off camera than looks back at the camera. He’s most likely reading from cue cards. The precinct is just a room and the offices on the door there isn’t a plaque with a name on it, but instead a white strip of tape with their name written on it. This was all within the first 15-minutes when again Night of the Ghouls worked best. Also there is a single photo on the wall at the precinct with the words wanted written above it and the photo is of none other than Ed Wood. And lastly the name Dr. Acula (Dracula) is fairly clever. Overall Night of the Ghouls is mostly just poor with not many redeeming qualities, but its not a complete bust as their are some highly entertaining moments that only Ed Wood could deliver even if they’re entertaining for the wrong reasons. I can’t say I hated the film and perhaps I’ll warm up to it, but it just never reaches the fun factor that Bride of the Monster and Plan 9 from Outer Space reached.